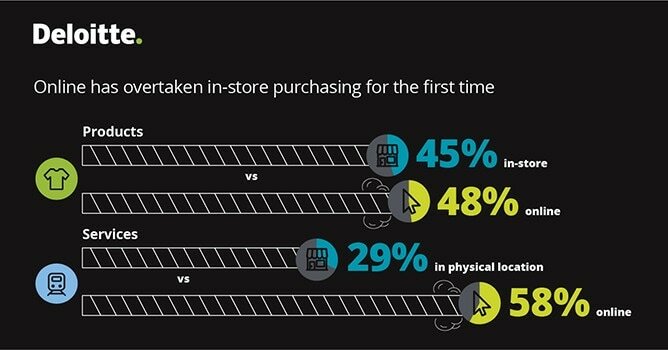 Consumers now expect a bespoke, fluid experience when shopping. This experience is defining successful business models, but how can businesses predict what consumers want? 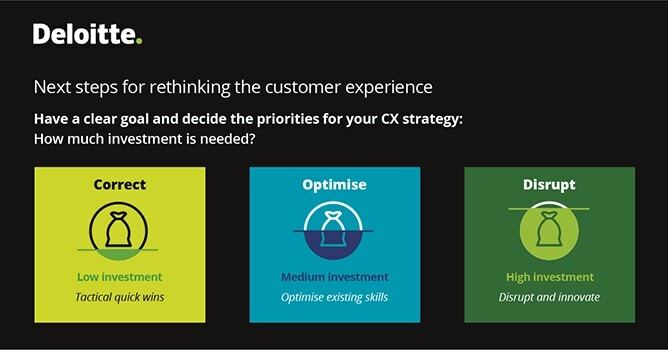 How can businesses differentiate through customer experience (CX)? There are a number of practical steps a company can take when seeking to optimise its customer experience. More than 2,000 UK consumers were surveyed about their experience when buying a product or service, Our report provides the insight and data required to understand both the opportunities and challenges the customer experience presents. Beyond the initial stages of the path-to-purchase where consumers are looking for inspiration, they are increasingly expecting to pick and choose from a selection of shopping channels, using different technologies and delivery methods depending on the category. 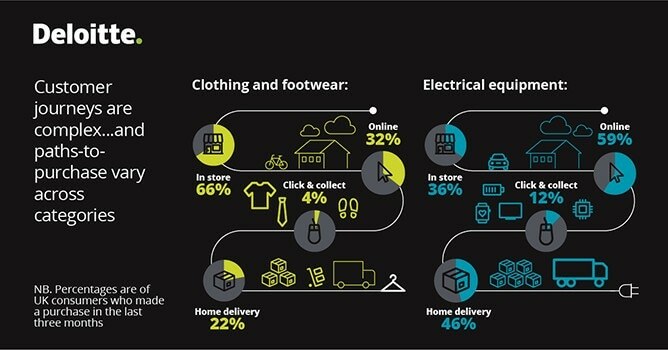 Online channels and home delivery are increasingly becoming the preferred options of purchase. Creating lasting relationships with customers is based on giving people what they want, knowing them well and gaining their trust. 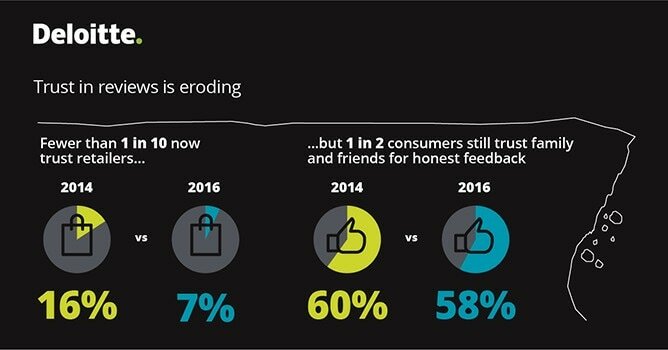 Deloitte research shows that compared to 2014 there has been an increase in the number of people claiming they do not trust anyone to provide honest feedback. Changing consumer behaviour has potential consequences across the entire supply chain serving the business-to-consumer (B2C) sector. Business-to-business operators (B2B) also need to respond to the changing behaviours of their own end-consumers and can learn some lessons from business-to-consumers businesses. The overall customer experience will be determined by how seamless and effective the experience is across the entire value chain.